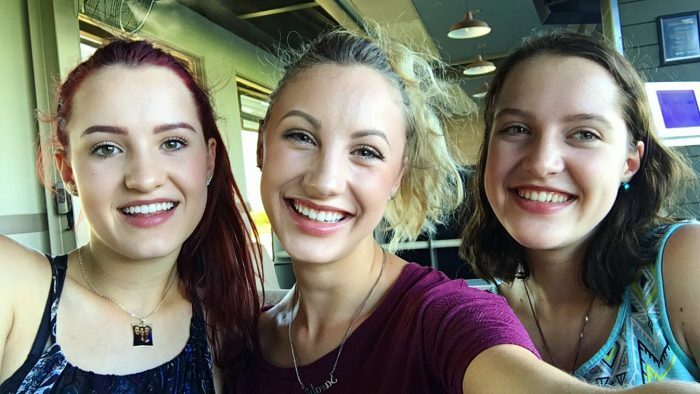 As a triplet, one of the questions I receive most frequently is “Where are the other two Sarahs?” My answer always begins with my memorized spiel about how my sisters and I actually have different names because we are in fact different people with different interests and tastes. My answer then ends with something that seems to be quite shocking to people: “My sisters are at different colleges; we all attend separate institutions.” Prior to receiving puzzled looks and surprised tones of voices upon coming to Whitman, I had never really considered the bizzarity of my sisters and I taking separate paths toward educational institutions. But hey, perhaps it is something to be noted, not just for my case, but for all students with siblings: what are the reasons for attending college with, versus without, your siblings? Well, my reasons date all the way back to 7th grade when I decided to start going to school after being homeschooled with my sisters up until that point. Don’t get me wrong, I loved being homeschooled; homeschooling is fabulous–best years of my life no doubt. But I wanted to try something new as well as have something that was particular to me and not to all three of us: something that set me apart. I have always valued individuality and for the most part live by the philosophy of nonconformity; thus, I decided to branch off from my sisters and go somewhere where people knew me as “Sarah” instead of “one of the Murphy triplets.” Going to school accomplished this no doubt, and soon following my decision, my sisters each chose separate schools to attend as well, putting us all at different high schools. This worked super well because we all have such different interests; I attended a school that taught latin, Sienna attended an arts school where she played harp, piano, and flute, and Sydney went to a more sport oriented school where she played tennis and cheered. The interests that each of us developed because of this separation paved the way for our developing passions and, eventually, choice of university. Now, with Sienna at the University of Puget Sound, Sydney at Wheaton in Massachusetts, and I here at Whitman, we are living our own individual lives with completely different types of friends, classes, dorms, organizations, and programs. This way works fabulously for us, but we all also know plenty of people who attend the same institution as their sibling(s) and are having just as fabulous an experience. Every sibling situation is different; you just have to find the best fit for you. Now hey, you’re probably thinking that my sisters and I have some kind of beef with each other that caused us to put thousands of miles between us. That is, actually, a common assumption, but is the antithesis of the truth. My favorite part of being a triplet is how close we are, despite not being close in proximity. Distance is of no importance when you thoroughly enjoy someone’s company every time you’re with them, because in their absence, you only know that things are going to be great when you are once again reunited. My sisters and I trust one another with our whole hearts, and thus we trust that we will stay best friends no matter how little we get the luxury of seeing each other. Attending separate institutions has not only made us stronger as individuals, but has made us appreciate even more the few special moments when we get to be together. This entry was posted in Prospective Students, School Year.